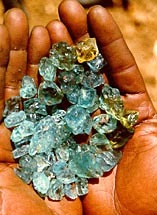 AfricaGems.com-Experience the fascinating story of buying loose gemstones in the African bush. 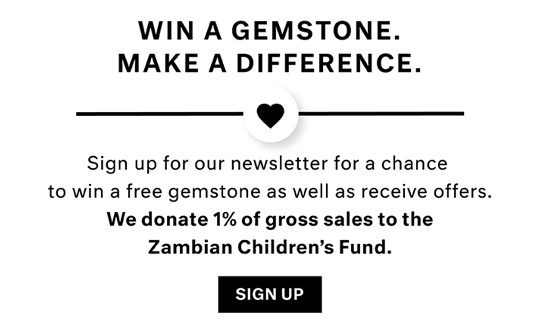 See a video about life of Marc Sarosi, professional gemstone dealer living in Africa in the 1980's and 1990's. Watch Living in Africa Video. A big part of finding quality gems is visiting the villages in the remote mining areas and earning their trust. Here Marc is drinking "village beer or "chibuku"", it tasted terrible but he acted like he was really enjoying it. The villagers had a good laugh at his expense and he subsequently bought some very nice gems from the head man or chief (holding the hammer)! All of the villagers are very friendly and curious about strangers, especially "muzungu's" (white men). Here Marc traded a bottle of Jack Daniels for a bottle of village "gin" and a handful of beautiful aquamarine. The typical batch of "chibuku" brewing (about 30 gallons!). It is made from fermenting maize meal over a period of three days or so. It is customary for all visitors to the village to sit and drink. In traveling to remote gemstone areas, getting stuck in the mud is a fact of life in the rainy season. Sometimes it can be for days! Here Marc was fortunate to have the services of the local towing company, using cows to get his truck free. A packet of cigarettes was payment and very much appreciated.